November, bring on the brrr, and we’ll bring on the fleece. Here are a half-dozen fleece pieces (with and without hoods) to stave off the chill, layer under a shell, or curl up in after a frosty day. Last month we told you Backcountry.com unveiled their lifestyle apparel (and Touring Collection too!) when we profiled their Sundial Tight in our October newsletter. In case you want to know, Backcountry Gearheads test every product until it’s one they’d never part with. Example: the West Slabs Tech Fleece Jacket. Add this to your kit and you’ll be set for early winter shenanigans like raking leaves, dressing the turkey, and chasing the dog down the snow-covered trail. 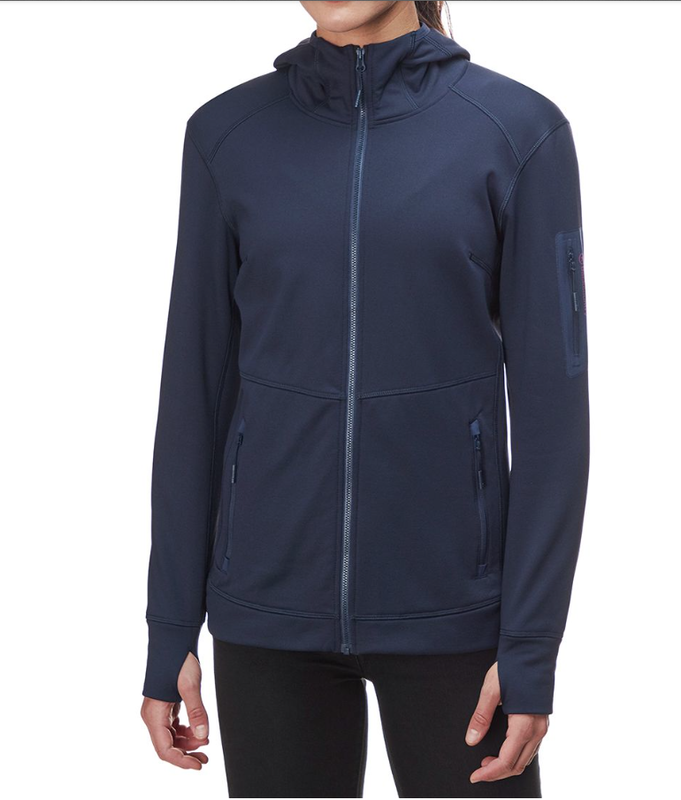 This full zip fleece with four-way stretch has an articulated design for full mobility and with thumbholes and a hood, it makes for an easy getaway from light rain and snow. In the mood to task it with more? Layer it under your raincoat, shell, or puffy for extra warmth. In flattering blush or classic navy blazer, you’d be apt to buy both colors to celebrate a change in the seasons, or if you must, stick with brrr-black. Spiked cider please! In black, navy, and blush from XS-XL. You know Give’r? 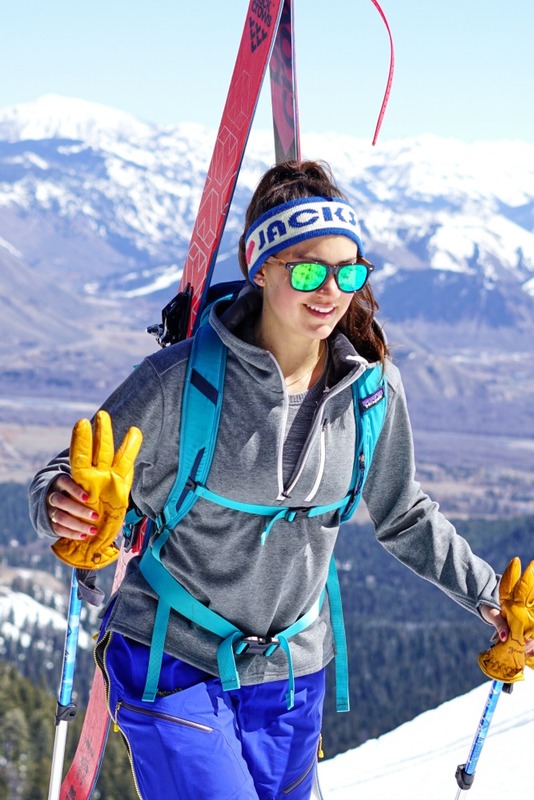 They came in hot with their iconic all-leather waterproof Classic Give’r gloves a few years back, followed by their 4-Season gloves (their Kickstarter campaign raised $200K), and have been stoking the Jackson scene and Mountain West ever since. Their team knows there’s weather out there and their aim is to keep you outdoors doing your thing, but protected and comfortable while doing it. Now they’re at it again with the Ol’ Faithful Midweight Pullover, a piece of clothing that is guaranteed to be “your lifelong best friend, K9 co-pilot, or trusty ol’ truck in the form of a pullover hoodie.” They claim there’s a secret sauce and they aren’t kidding! 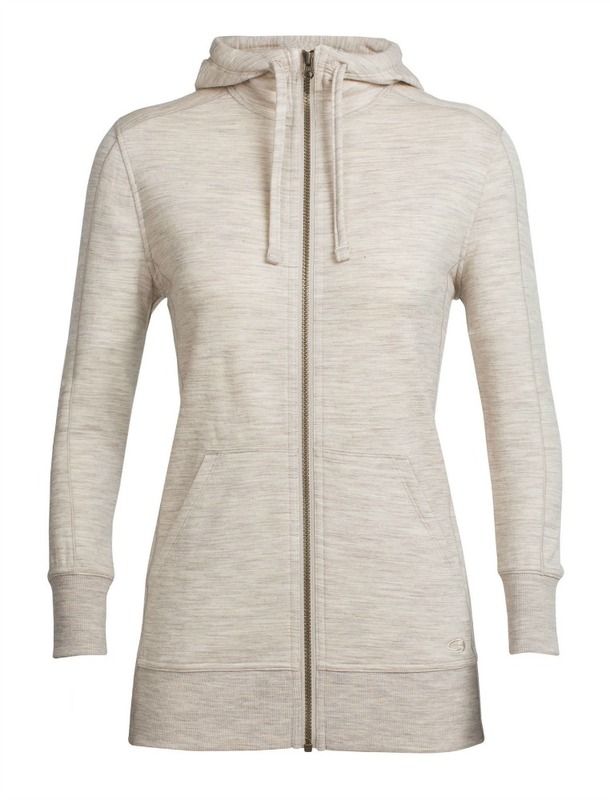 This piece of paradise is ultra-cushy, but has “two distinct elements,” one of which is its exterior (a dense, but surprising soft material that blocks wind and rain while insulating) and its interior, which is “woven in a unique fashion resulting in the plush and cozy feel that is truly without comparison.” This practically perfect in every way hoodie (queue Mary Poppins pulling this out of her magic bag) regulates your temp with its performance fabric, which is equally structured and flexible while providing durability and versatility for whatever you have in mind. Give’r your all! 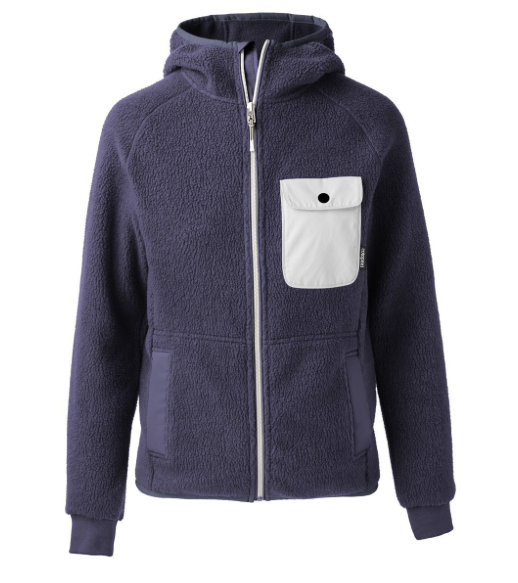 In Dark Heather Grey (only) with phone pocket and thumbholes, it’s unisex from XS-XXXL. It’s like a second skin. Icebreaker’s version of fleece is made from Corespun yarn, a superfine New Zealand merino that’s supplemented with nylon to give it strength and durability for more warmth and less weight. The Dia’s foundation is in its detailed construction on this full-zip sweatshirt hoodie. Seamless shoulders, a deep and adjustable hood with a drawcord, and nice cuffs make it feel more like a lifestyle piece, but its warmth is why you’ll consider it a sleek, mid-layer essential. Breathable, odor resistant, and lightweight with a slightly more relaxed fit than a heavier fleece-y cousin, it’s stylish enough to layer under a wool coat for a transition from morning hike to mid-morning meeting. A bit of a longer length makes it great for leggings. 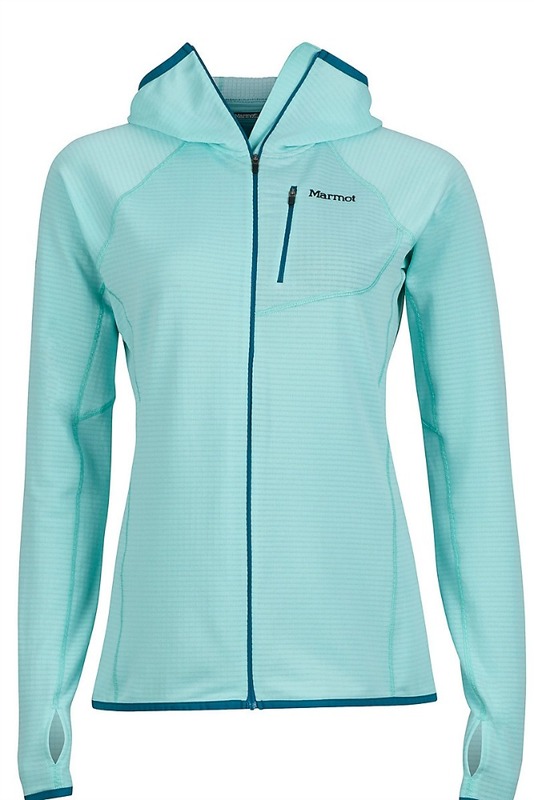 Runs a tad larger than other Icebreaker garments, so use the Fit Finder for your ideal fit. In Fawn Heather, Velvet, and Black, from XS-XL. 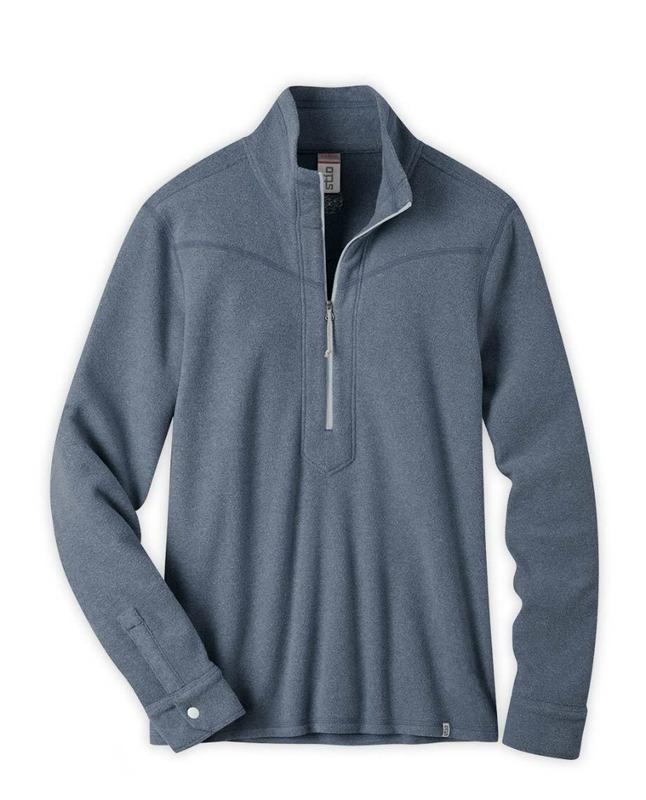 (MEN) For the boys, check out Dia’s partner, the Men’s RealFLEECE® Mt. Elliott Long Sleeve Zip. Integrated Polartec® Thermal Pro® fleece is the beginning of the Arctic story. As Mammut goes, they’re in it to win it. This hoodie is a big piece of warmth, not too bulky because of its elastic flatlock seams, but definitely substantial because it’s not going to leave you with a shiver. Designed for skiing, wear it under your shell with a next-to-skin base layer. Its high collar zips right under the nose sporting a concealed flat chin protector and the hood is snug without feeling restrictive. Named Arctic for a reason and the season, it was put on the spot during a recent cold Teton morning (2 degrees) where it kept this tester warm with its formidable heat retention, albeit with a shell to shield the biting chill. Pay attention to the sizing because we think it runs large. Shown here in Magma-Phantom and available in Atoll-Teal Melange, Magma-Phantom, Marble-Titanium Melange, Grape-Phantom, and Marine Melange. So worthy. So elegant. So Marmot. Made with Polartec® Power Grid™ fleece, the NeoThermo is a smooth operator. Highly compressible and breathable, it’s prepared for a day of outdoor activities. With an athletic cut, slimmer than others profiled in this review, it’s form fitting but has that stretch, which is appreciated when there’s striding, riding, and gliding to do. A zippered chest pocket and elastic bound cuffs with thumb holes add to its duties as a layer you’re likely to use on a daily basis. This is a quality hoody for year round adventure and one that will feel secure in any situation. Shown here in Blue Tint and available in Black, Blue Tint, and Red Dahlia from XS-XL. Fits true. The Turpin Fleece Collection is out and we’re grateful it’s made with *Fervos™ microfleece, which everyone can feel good about because it’s sourced from recycled plastic bottles! Three styles (Half Zip (both), Funnel Neck (for women), Crew (for men), and a Fleece Pant (both)) kind of mean you’re free to rock these pieces from early morning coffee until happy hour wine, at home, in the office on casual Fridays, or in the yurt during an epic dump. If you’d like to believe you’d change into something more comfy, we’ll bet our fruitcake that you won’t because this uniform of mountain warmth is on point. The Half Zip gets its inspo from the West with shirt-style snap cuffs and a chest seam that happily signal it’s a Stio original. With a deep front zip and flatlock seams, these pieces will go when and where you need them with no complaint. In Mountain Shadow Heather, Tap Shoe Heather, and Morel Heather. Prices vary for each piece, but all under $99. 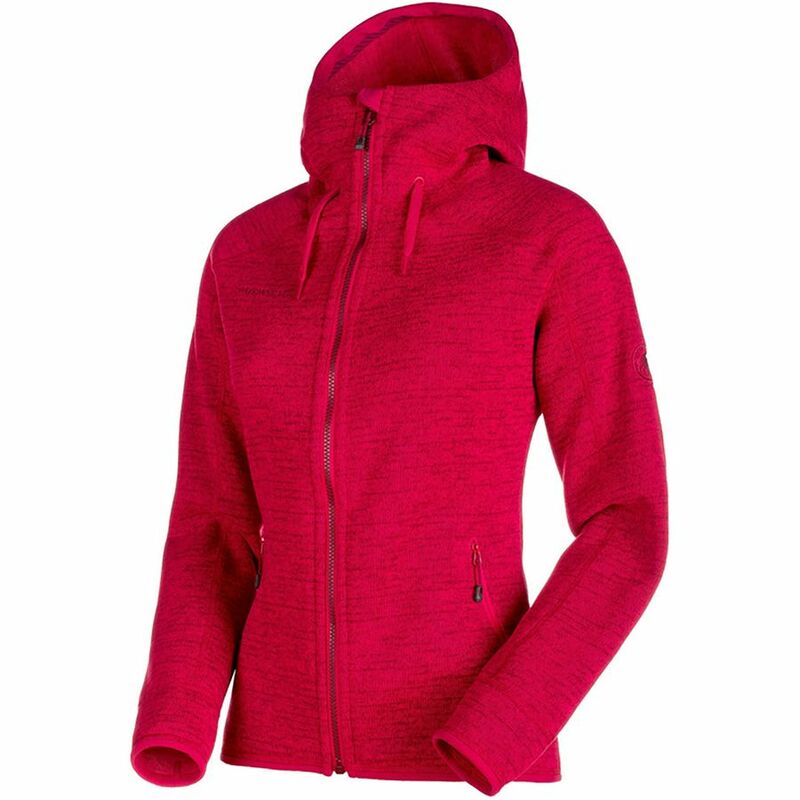 Shown here in Women’s Mountain Shadow Heather. *Constructed from innovative, sustainable Repreve® fiber. All materials Repreve® materials are certified, traceable, and 100% recycled from post-consumer plastic water bottles. Gear for Good, you betcha! Cotopaxi started out making one-of-kind Del Dia packs and fortunately that led to other products “crafted with purpose and passion.” The Cubre Fleece is one of those versatile pieces you’ll reach for to do just about anything from commuting to camping. Made with PrimaLoft® Shearling Fleece and designed with a scuba-style hood, there are deep hand pockets, an elastic binding at the hem, and full cuffs. The style is modern old school in muted hues with blocks of color that continue to define the company’s look. ICYMI, their products are “guaranteed to last 61 years–the average lifespan of a person living in the developing world.” This tester’s plush full-zip hoodie in graphite/cream kept her warm as a bunny during a 24 degree dog walk. The biggest bonus of all? The handwritten message from Ibrahim (a member of the refugee community in Salt Lake City), which said “Do good, and adventure on” in his first language. Cotopaxi partners with the IRC (International Rescue Committee), which made this tester feel good all over! Are you a hoody or a hoodie? Both are accepted. It’s just who’s in charge of naming product!